The Spring Craft is on Wed, March 27 at 6:30. 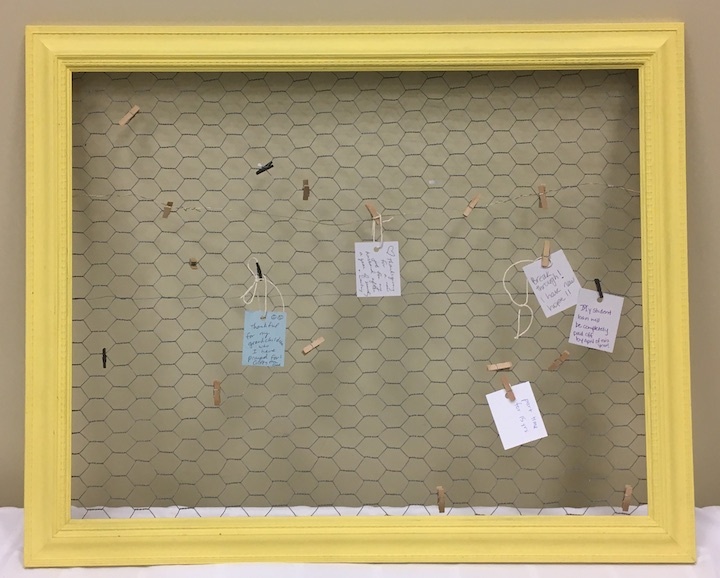 In the Fervent study we have a Wall of Remembrance which is a cute frame with a chicken wire backing where we can pin God’s answered prayers so that we can visually see them and remember God’s goodness. We will be making our own chicken wire frame! It will be a simple craft to make. It will make a cute seasonal decor that you can decorate with each season, or it can be a place to keep those important papers or photos.